G7 foreign ministers meeting in Dinard, in France on Friday urged an immediate halt to "all military activity and movements toward Tripoli" adding that civilians were in danger. They echoed the United Nations Security Council in New York which had held an emergency meeting to discuss the situation. 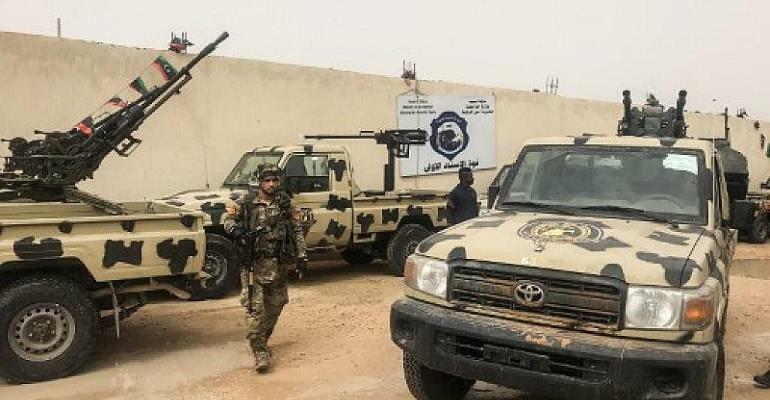 Libyan forces under Khalifa Haftar, commander of the self-proclaimed Libyan National Army (LNA), launched an offensive on Thursday to take Tripoli. After a set-back for the LNA early Friday 27 kilometres west of Tripoli, at the end of the day Agence France Presse (AFP) reported that Haftar's forces had advanced. to the disused airport 30 kilometres south of the capital. After a closed-door emergency meeting in New York Friday, the Security Council unanimously called on Haftar's forces to halt their advance. The Libyan capital is held by a UN-backed unity government and different militias. UN Secretary-General Antonio Guterres was in Libya for a visit at the end of the week to try to lay the foundations for elections. To this end he had met Haftar in Bengahzi in the east of the country, but it seems to no avail. Hasni Abidi at the Centre for Arab and Mediterranean Studies in Geneva told RFi's Houda Ibrahim that Haftar is weighing up his forces own capacity and the potential for resistance from other militias as he pursues his goal. "The ultimate goal is to control Tripoli. However, if he meets too much resistance, he could be satisfied with gaining control of a few more places, and in establishing himself as a problematic neighbour for Sarraj's government, as well as becoming very important for any resumption of talks, even if he has always balked against the notion of a political solution." The UN is to sponsor a National Conference later this month in Libya on holding elections.